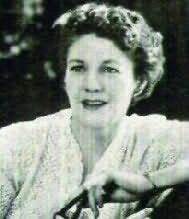 Norah Lofts, best-selling author on both sides of the Atlantic, was born in Norfolk. She taught English and History at a girls' school before turning to writing full time. She also wrote under the pen name of Peter Curtis. A passion for old houses and their history inspired her classic 'House' trilogy, The Town House, The House at Old Vine and The House at Sunset. This meticulously researched trilogy of historical romances spans more than five centuries of Suffolk history, starting with Martin Reed, a fourteenth century serf and concluding with Frances Benyon in the mid 1950s. Lofts wrote more than 50 books, including historical non-fiction and short stories. "I read it with the utmost joy and admiration. It is so real, so down to earth, so very true, so sad, in places even so funny... a splendid book."